Safety first: That’s our motto down at Expert Auto and Tire. We want to provide every single customer who walks into our shop with high quality service that leaves them with safe, reliable transportation at an affordable cost. Our passion is your safety and that translates over to our specialty in brake repair. When it comes to brake repair in Temple Hills, MD, it doesn’t get any better than our team down at Expert Auto and Tire. Brake repair in Temple Hills, MD should be done by a team that has seen it all on every type of vehicle. Each braking system is unique to that individual vehicle’s make, model, year, and history. Braking systems on a vehicle can arguably be the most important in keeping you and your passengers safe. 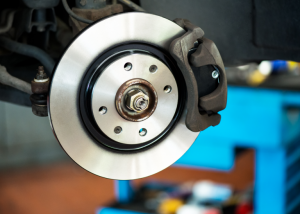 That is why our expert team of technicians that include five ASE and UTI certified techs, one master tech, and a Maryland State inspector are the perfect choice when it comes to brake repair in Temple Hills, MD. We are conveniently located and ready to service any and all needs for your brakes. You need experts taking a look behind your tires to not only service the brake issue, but diagnose exactly the matter. If your brakes are smoking, screeching, or clunking while slowing your vehicle, it can mean a vast number of things. Your brake pads can be wearing down, the cylinder system could be malfunctioning, or your fluid lines could be leaking. Our technicians have seen it all and can diagnose any problem with brake repair in Temple Hills, MD. We supply 24 month, 24,000 mile warranty with every brake service and will service any make or model from Buick to Honda to Ford to GMC. It does not matter, we are prepared. So let our passion for your safety set your mind at ease. If you want affordable and high quality brake repair in Temple Hills, MD, then come on down to Expert Auto and Tire. No indicator is too small to come in for a simple diagnosis on your brakes. Give us a call today and ensure that your transportation continues to be safe and reliable.